Axis Of Oversteer: Axis of Cup! Fantastic news: CG, after vanquishing the ranks of PCA club racing, has decided it's time to play on a different playground, with a bigger toy. I'm very excited to announce Carlos will be running at least 4 races of the 2011 IMSA Patron GT3 Cup Challenge, for our European readers, it is the US version of Porsche Supercup. To make the whole thing even sweeter, the debut will be June 10-12 2011, in the support race to the Formula 1 Grand Prix of Canada in Montral. How cool is that? We are planning on being in the (at least the supercup) paddock and handing CG his first bottle of celebratory champagne...regardless of where he finishes! The car, run by TRG/Speedsport will have Capital Managers / Axis of Oversteer livery but there is still plenty of sponsorship space available. If your company is interested in the exposure opportunities on track, television (SpeedTV) and online, via IMSA and through Axis of Oversteer.com. we will be happy to work with you, drop us a note. Here are the dates. Aside from Montreal, most races run as support to the American Le Mans Series races. Axis fans, now you know who to cheer for if you are attending! 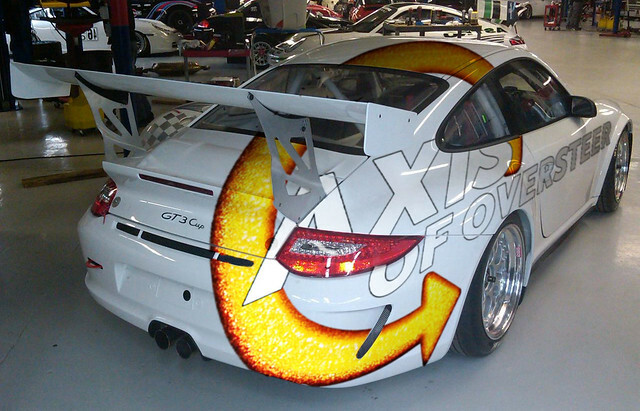 So what is a sales brochure for a 2011 GT3 cup like? Have a look after the jump. Fantastic! Good luck CG, we'll be cheering for you! It'd be great to meet you guys at Road America or Montreal. Road Racing at its best! Great news!! We'll be following along. PS: maybe you can get an AutoX4u.com sticker on the car.. I'll be attending the race at Laguna Seca. It would be great if you guys did a reader meet up! See you at Road America! Best of luck CG! It's great to see a former autocrosser make the jump! Awesome! I'll be at Montreal F1 this year. Any chance of a reader meetup? Good luck CG and I will be routing for you. My vote is Road Atlanta. well done CG and Axis! Awesome news. Good luck in the series. Looking forward to updates.